I have made a solemn decision to finish up all the half-painted minis on my little shelf of shame. I am not sure where this metal miniature comes from, I suspect it is a Wizards of the Coast D&D miniature from the early ’00s. I think one other I had lying about in the same box (a skeletal D&D troll) quite definately is one of those. At any rate, it has been standing around unfinished for some time, and I rebased it (it had a square base earlier) and finished it with fresh colours, some washes and a lot of drybrushing. It turned out quite well I think. Apart from the little stumpy sawn off-branch ends that did not turn out so well. Can’t win ’em all. At least it now is done. 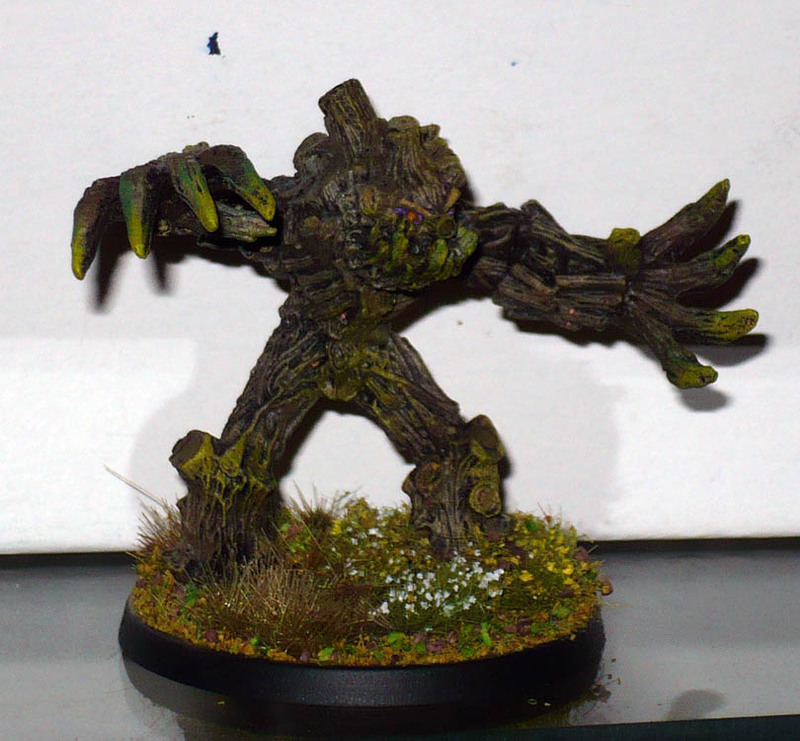 Edit: This is a Mage Knight Wood Golem, by Wizkids. Next up, something that looks like a cross between a Squig and a Razide, definately sculpted by Kev Adams, and (I believe) from the defunct game Vor: the Maelstrom. PreviousGhouls, Ghouls , Ghouls! and starting the Lost Crusade.